Here’s what’s happening in the world of television for Wednesday, May 9. All times are Eastern. 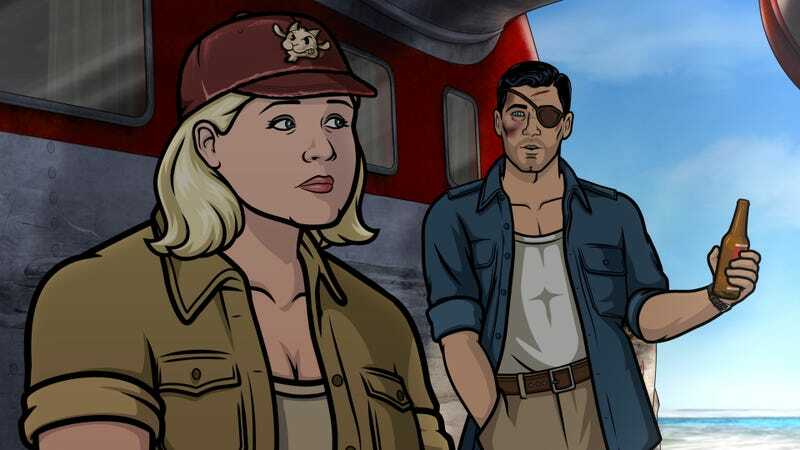 Archer: Danger Island (FXX, 10 p.m.): Now that Archer and Pam are without a functioning source of income, the two need a way to make some cash and get their plane fixed. Enter the mysterious idol Pam overheard Lana and Fuchs talking about in the jungle last week. It’s exactly the kind of thing that gets Archer excited—and Crackers the bird is pretty stoked about the possibility of an exotic treasure, too. The first two installments of our new “You Should Be Watching” feature highlighted Brockmire and Colony, and since they both air at the same time tonight, why not give one a chance and see what you think? The former delivers deep third-episode laughs, and the latter finds its second episode of the season building on the new mystery of just what, exactly, the alien Raps have been planning with Earth. Why aren’t you watching Brockmire? Why aren’t you watching Colony?